We are very happy in our new Marina Bluffs condo. 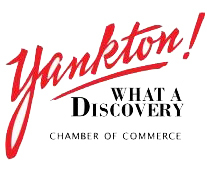 We are close to boating, walking trails and fishing, yet only a few minutes from Yankton. We love the open floor plan, and enjoy the beautiful views of the lake and dam. The whole building is very well built and has lots of extras like the kitchen backsplash, walk-in showers and pantry. This would be a great vacation home, or retirement place for someone looking to downsize. Leslie Kuntz was so easy to work with, and has been very responsive before and after we bought our home.